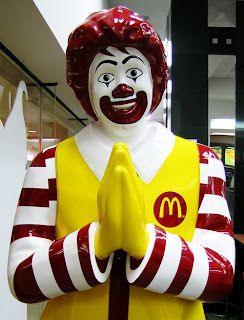 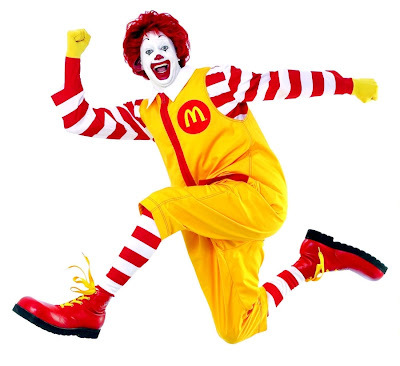 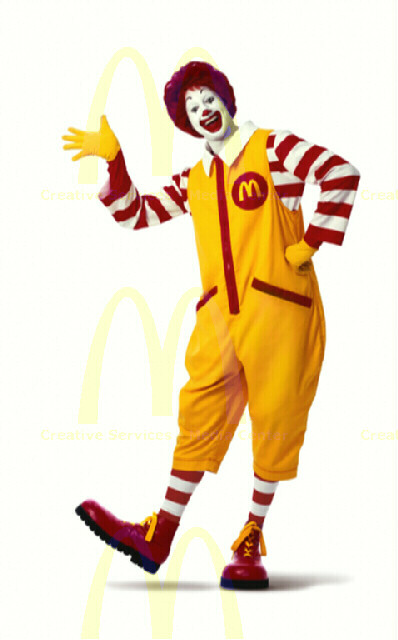 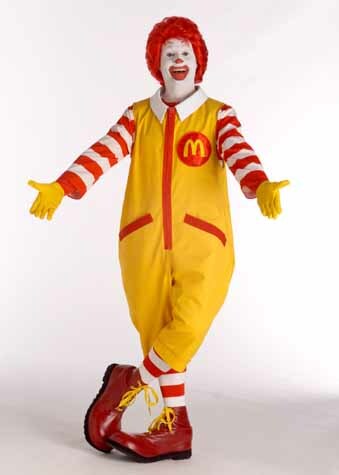 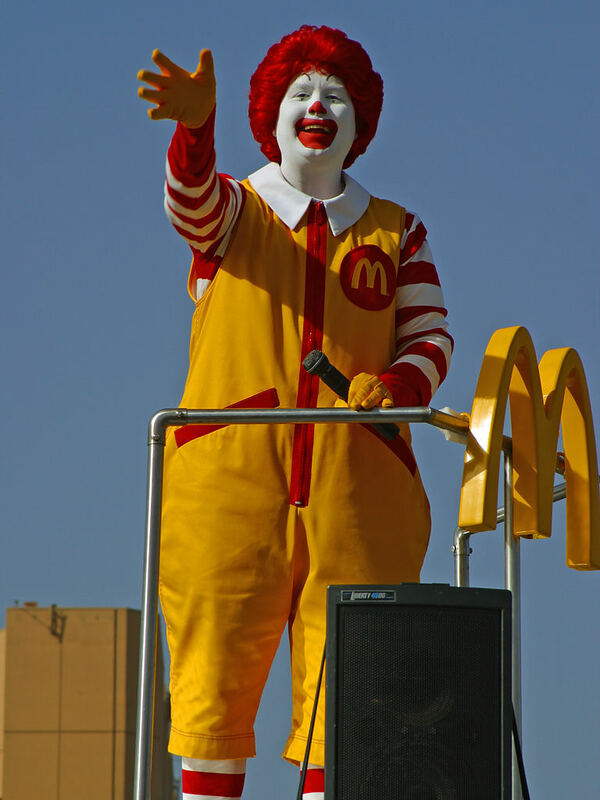 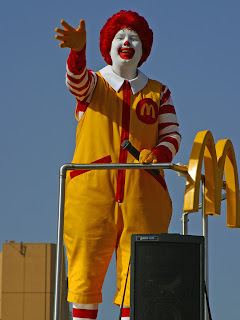 Ronald McDonald is a clown character used as the primary mascot of the McDonald's fast food restaurant chain. 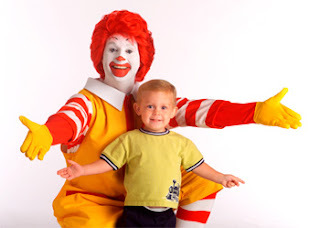 Many people work full-time making appearances in the Ronald McDonald costume, visiting children in hospitals. 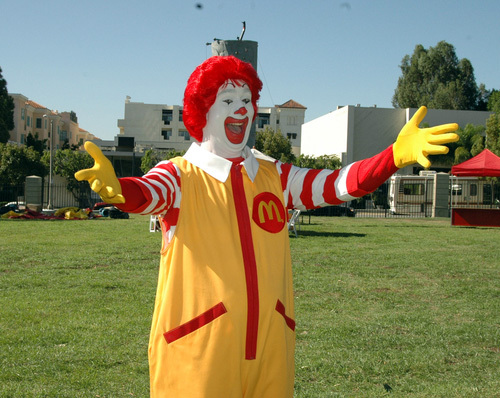 McDonald has been officially styled as Chief Happiness Officer of McDonald's Corporation. 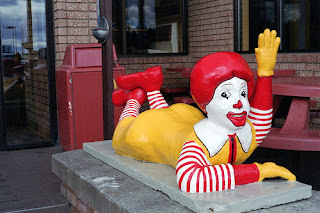 George Voor his was a late 20th century American artist who performed under different nicknames as a clown. He claims to have been the original Ronald McDonald.